Some cool purple houses by the beach! An impressive collection of hybrids already! Those of you who’ve been following my blog for a long time and have very good memory might remember me saying multiple times that this is my favorite pond in AC:WW! I just love the shape and size of it. Another thing I was quite jealous of, a pond by her house! It’s something I would’ve loved to have in Dafdilly, along with more ponds in general. But I reset for four specific house styles, so I guess I was quite lucky to get those. *sigh* It’s hard to get everything you want in a town. (Warning: I might’ve gone a bit overboard with picture-taking! I guess because it really hit me that this would be my last..ACWW WiFi..ever! Talie gave me a red turnip to eat, how sweet! ^^ I ate it in my favorite spot in her town, the wishing spot. ❤ Not the best capture, ah well! A better picture of the wishing spot! And there’s an even better one on her tumblr. This is a very impressive tree-lined path, especially considering I’m not sure she did dead-spot testing like I did! 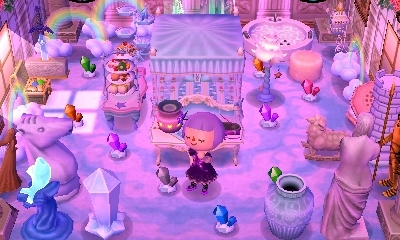 Filbert’s house looks so cute with the blue pansies! Another wishing spot, maybe? This is on Osworth’s island. Such a gorgeous flower arrangement, like a mural, wow!! Man, the pattern and path arrangements in Osworth are so detailed and elaborate! 😮 It kind of boggles my mind how they’re all able to fit the pattern slots limit! Yep, more party popper pics. I used all the ones I brought, from my batch I’d been saving for future WiFis… what better time to use them than now, the last WiFi? Setting off a roman candle in the pretty, mural-esque flowerbed I showed earlier! Aww, time to say goodbye. 😦 It was hard to do! Bye Talie, and stay beautiful Osworth! ❤ Thank you for letting me explore so long into the night! 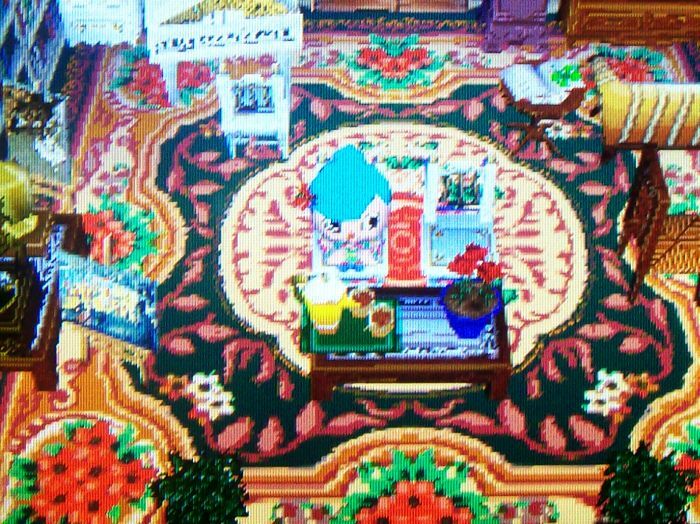 Posted on May 20, 2014 by Amy •	This entry was posted in AC:WW, AC:WW WiFi and tagged Animal Crossing. Bookmark the permalink. Aww.. It’s so fun reading this…and at the same time sad, because of the wi-fi shutting down for both ds and wii… sigh… I forgot I could’ve just wi-fied with you for the last time on the wii … xD But oh well… It would also be very nice if you, me, teru and jemma would be able to wi-fi for the last time again… xP Osworth is beautiful! I really like the patterns a lot. ^__^ and those eyes! Aww I such a lovely time at your town, Amy! Sorry I had to leave so soon, I haven’t been so great at keeping usa looking decent, but I wish the WiFi wasn’t shutting down, it’s so sad! I liked your pictures! Osworth is such a pretty town! And you managed to keep your town looking amazing, too! Wild World will still always be a wonderful game for me, and I’m really excited to see how the tribute turns out, sounds interesting!! Aww, I’m glad to hear you liked Wild World, and a bit of your own memories! It seems like Wild World was a first-time/old favorite AC game for quite a few players, actually. I think the new portability was great, and there were lots of new additions introduced that are now a staple of the series (haircuts, hybrids, emotions, WiFi, etc.). Aww thank you, I’m glad you enjoyed looking through them! 🙂 And I agree, it will be the same with me of course! 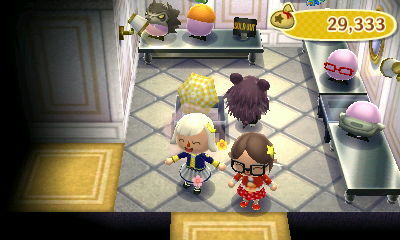 It's sad that AC:WW WiFi is gone for good now, but this was the perfect way to send it off. It’s such a unique town! I was surprised to see many of the features of her town because I didn’t remember them from her blog, and she said that Osworth is purposefully themed to seem like a bit of an odd town, and that she’d contemplated naming her town Ozworth instead for that reason 🙂 It’s always really interesting for me to see how people make their mark in their towns, and their various unique ideas, like that beautiful wishing spot! Oh I love this blog, glad I can follow it now! Very nice, detailed post by the way. You guys look like you had a lot of fun. 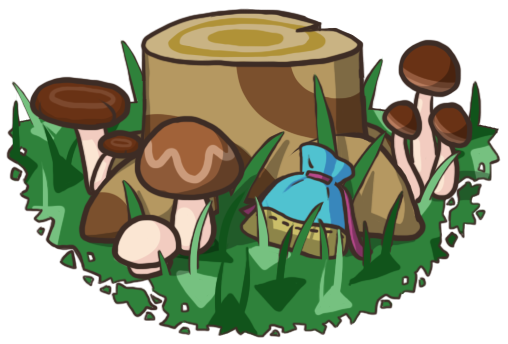 I have a lot of memories of Wild World. I don’t play it very often now though. Also could you add my little blog to your blogroll, please? If it wouldn’t be too much trouble of course. Thank you so much! 🙂 I really like the look of your blog so far too, I’ll follow it and add it to my blogroll! Yeah, I don’t play Wild World extremely often anymore either, sadly, since New Leaf keeps me busy enough. But I like to check up on it every now and then, and I have lots of fond memories playing it as well. I’m giving my copy of the game to my sister. I’m sure she’ll play it more than I do.